On the weekends, I’m less conscious about the calories I’m consuming, because in Real Life Time, calories are irrelevant! At least, they feel like they should be. I’m intentional about eating consciously and healthfully all week, and I find myself naturally loosening up by the end, which I kind of like. I’m the quintessential Type-A person, and even Type As need a break sometimes! And snacking is just F.U.N. When I snack for funsies, I want to make it worth my while. If the food doesn’t taste good and satisfy a craving in me, it’s pointless. 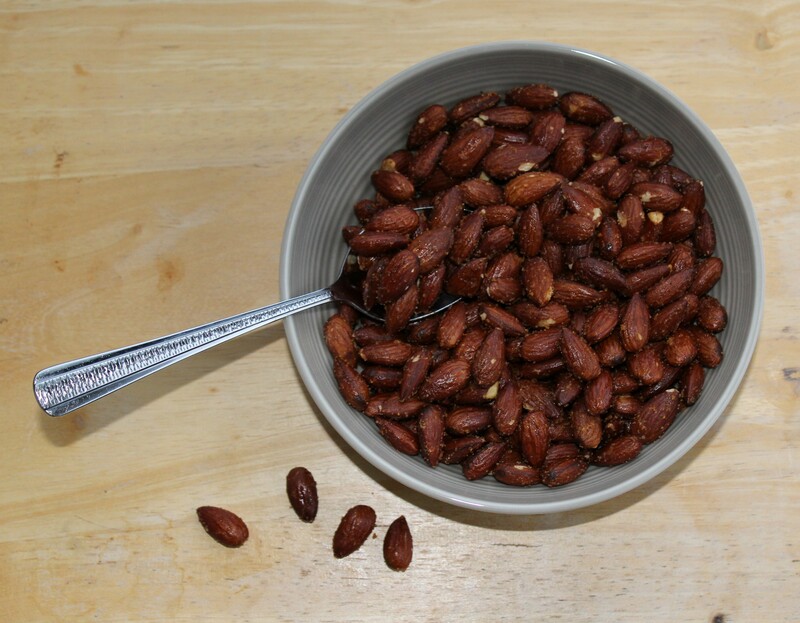 But of course, a snack can be healthful and delectable, like these Garlic Roasted Almonds. And that kind of snack is truly the best kind. Me to Garlic Roasted Almonds: I can stuff my face with your buttery savory crunchy deliciousness AND get doses of healthy fats, fiber, protein, and heart-beneficial goodness? Garlic Roasted Almonds: Pretty much. I am a G.
Yeeaaah . . . it’s time to get on with the recipe when I start carrying on an imaginary conversation with my snack. On to the recipe! 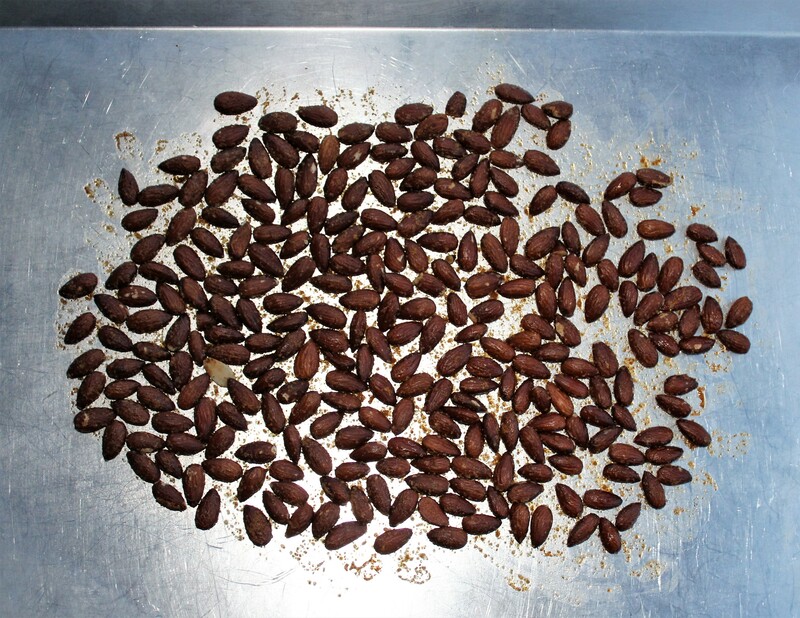 Note: I used butter to roast these almonds because I love the flavor it lends. But you can easily make the nuts vegan by substituting a plant-based oil such as coconut, grapeseed, or avocado oil. Also note: the flavor of the cayenne pepper is incredibly subtle, which I liked here. It lends the very slightest heat; the focus is more on the garlic and salt flavors. If you would like the spiciness to be more pronounced, try doubling the amount of cayenne pepper used, from one-fourth teaspoon to one-half teaspoon. Preheat oven to 350 degrees. 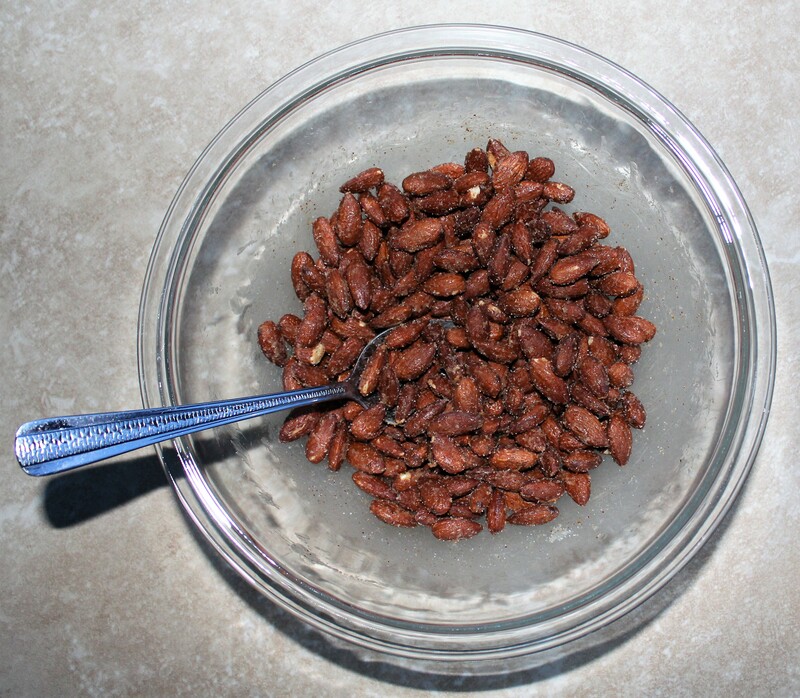 Toss the almonds in a bowl with the butter and spices, evenly coating them. Spread over a baking sheet and let roast for six minutes. Stir the almonds, put them back in the oven, and check them again after an additional six minutes. If they seem well roasted after these 12 minutes, remove them from the oven, let cool a bit, and enjoy! If they seem like they need longer, stir them again, put them back in the oven for another three minutes, and check again. They should be done by that 15 minute-minute mark, but if not, you can keep checking them every few minutes until they are. The additional wait will be worth the delectable crunchiness!